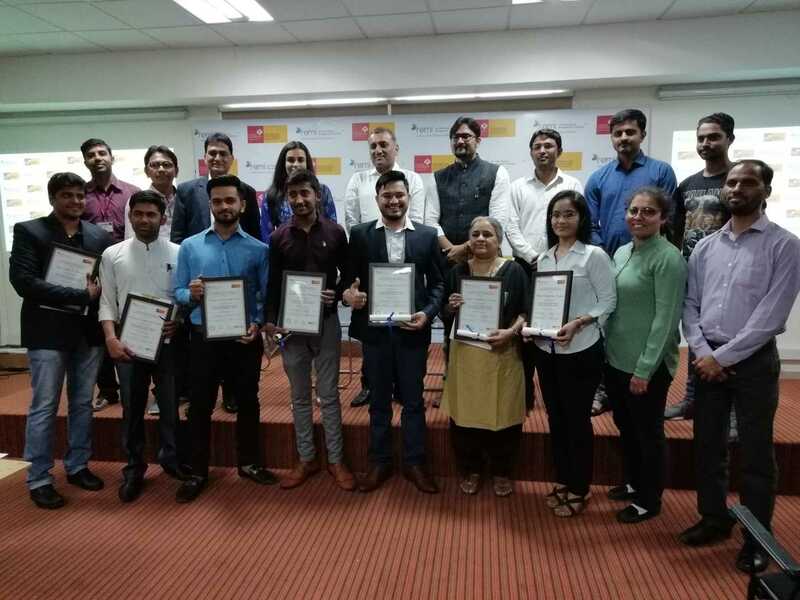 The Real Estate Management Institute – REMI conducted its first convocation for the graduates of the Real Estate Business Management and Housing Finance (BMF) Ahmedabad Batch December 2018 on the 23rd of March 2018. The ceremony started with an opening address by the Director of REMI – Shubika Bilkha where she shared her gratitude of having the students learn and build up their knowledge to contribute to the real estate industry, followed with short note by Mr. Rajen Purohit – Chairperson CCE and Dr. R.K. Patel, Dy. Director – GNU. 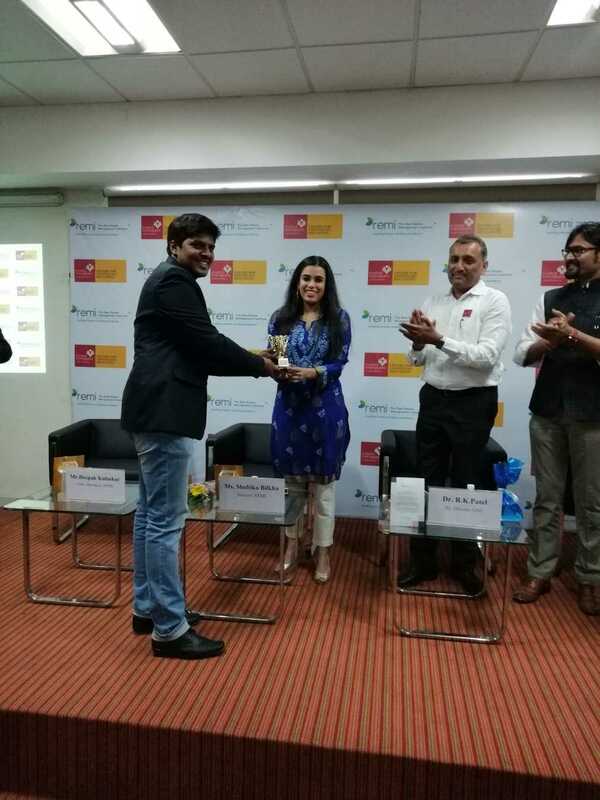 Each REMI graduate was felicitated with certificates and a letter of appreciation issued by REMI, IREM (USA) and Ganpat University (GNU CCE) for their dedication and commitment towards the real estate industry development. The Graduation ended with a REMI Trophy awarded to the best student of the batch selected purely on the basis of attendance and performance. The ceremony was closed with a REMI Pledge sworn by the audience which holds a commitment to inculcating a culture of improved ethics and integrity in real estate. 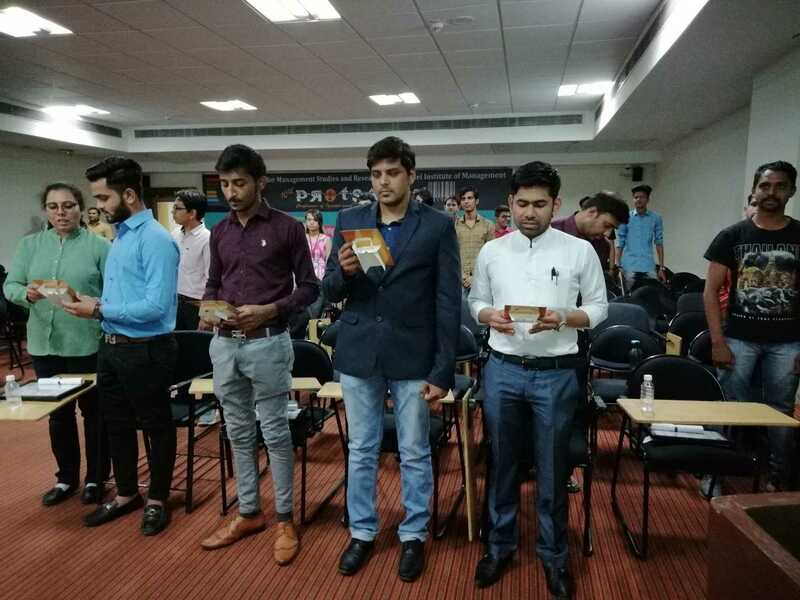 All our students and participants take the REMI pledge to showcase their individual commitment to maintaining an ethical standard in real estate. At REMI we are proud to groom and build leaders of tomorrow, looking to create an impact in the fast growing real estate industry, with a mission to ‘Skill India to Build India’. 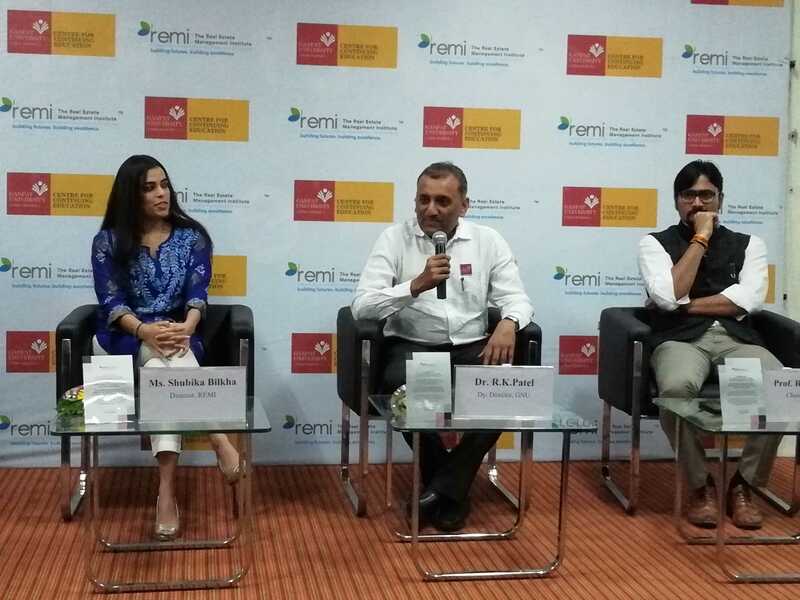 The Real Estate Management Institute- REMI is a leading educational institute in India that provides programs specially designed for the real estate industry. REMI was established with a vision to ‘Skill India to Build India’ to contribute to industry development through training programs and to facilitate individual careers, as well as enhance leadership for existing real estate professionals. REMI is a pioneer in the field of real estate education in India having trained 2400+ People since our inception. REMI has over 320+ Corporate Association, 180+ Affiliated Visiting Experts and offers 100% Internship and Placement through a dedicated Career Development Centre (CDC). We are constantly exploring new dimensions and partnerships to help us stay ahead. Some of our partnerships include collaboration with The Institute of Real Estate Management (IREM), USA, Ganpat University in Ahmedabad, Practicing Engineers, Architects and Town Planners Association (PEATA), Habitat for Humanity, among others. 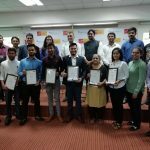 Our flagship Certifications in Business Management and Housing Finance (BMF 201), the Broker Certification Program (BCP 201),the Owner Developer Program (ODP) are just the tip of the iceberg. Our ability to curate industry-relevant programs with experts and thought leaders is our specialty. We currently offer 30+ programs for real estate.